The shield of the Roman Centurion is a key component to Roman defensive formations. 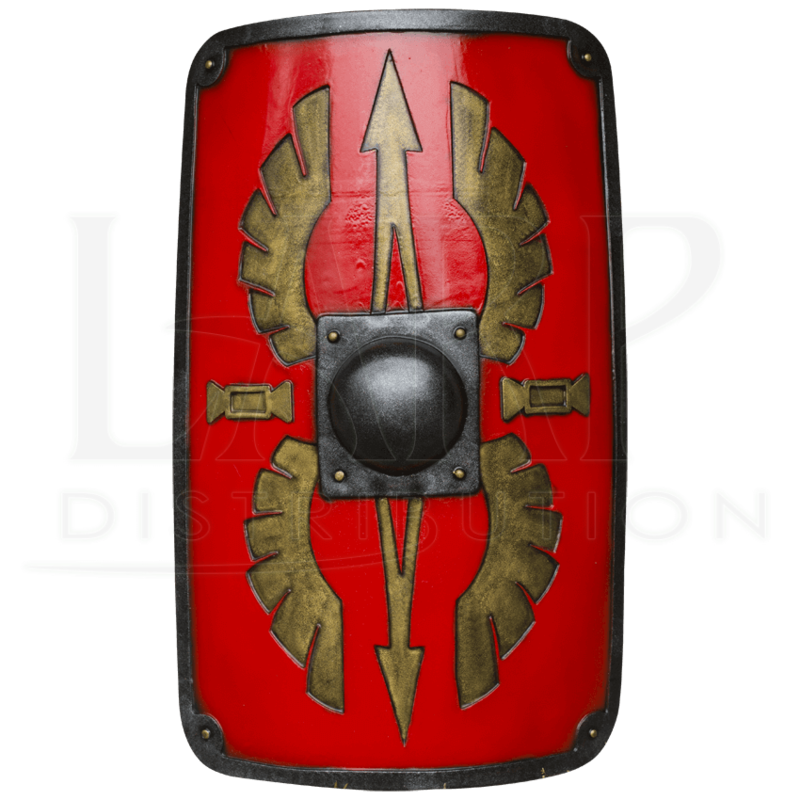 Do not forget your Roman Legion LARP Scutum Shield when you muster, otherwise, you might be made to dig the latrine pits with the new guys! This ornate Roman legion LARP shield possesses a hard EVA foam core encased in a closed cell foam that has been covered in latex. The surface of the shield has been painted to resemble an enameled red surface banded with dark metal that has been riveted in the corners. The center of this handsome LARP shield features a mirrored winged arrow design with hourglasses on the sides. 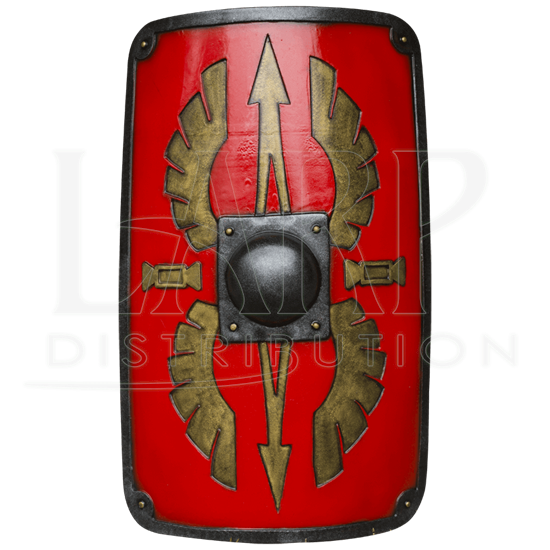 A punch grip on the back of this impressive LARP shield allows you to create distance by simply extending your arm. Take your LARP costume or cosplay to the next level with this realistic foam shield!